I admit it! I am a total nerd. Are you one too?! It's funny how when we are younger we would never want the label of nerd, but now so many of us claim it with pride! Whether it be attending a conference, completing an online course, or even a listening to podcast…we are all in! We want to learn as much as possible! But what if that isn't enough? What if there is more to just learning? What if just learning can actually be more crippling than empowering? I know we are all familiar with the quote “Knowledge is power,” but it's more than knowledge that we need…You have to actually do something with the knowledge you are taking in or it cannot be powerful in your life and business. 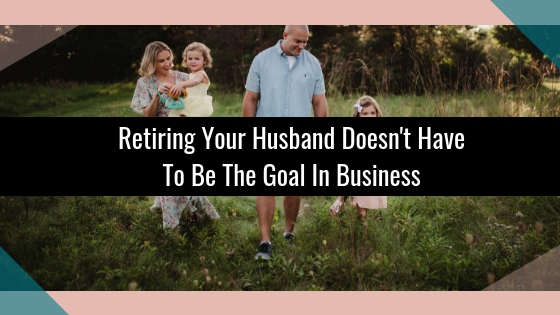 To help solve all of this, I recently interviewed my friend, April Perry on the podcast and I'm sharing all her tips right here! 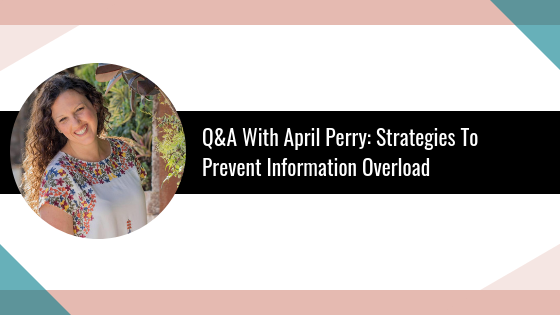 April is going to cover two simple concepts with us that will help us solve the information overload problem and bring freedom and power to our life and business! 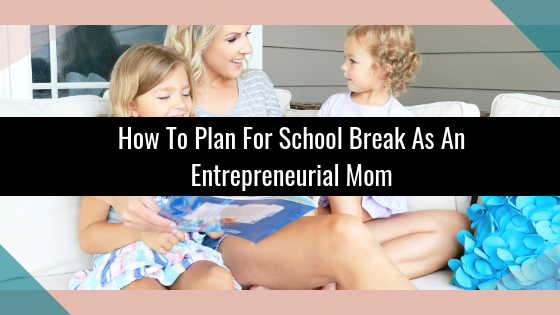 I have one of my Powerhouse Mastermind clients, Selina Gray who is a global money relationship expert and financial empowerment coach who has been crunching numbers and bookkeeping since the age of…..12! She is someone who approaches money in a very different and unique way, and her money story will rock you to your core! 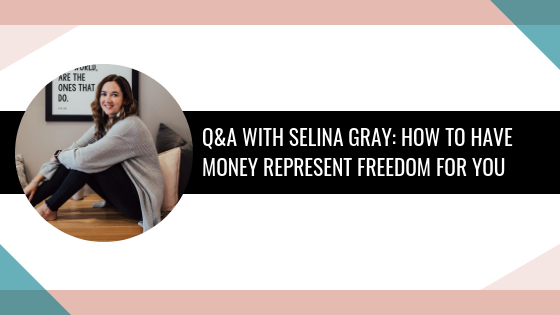 (Selina shares how a serious health crisis radically woke her up to her unhealthy relationship with money in her late 20s). 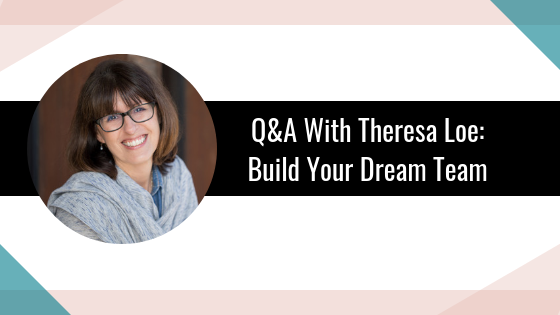 I can't wait for you to see how to have a healthy relationship with money along with some amazing money tips she has to share with you today! Is your social media marketing plan actually converting followers into leads and sales? I know how fun social media can be…trust me! Whether it be recording Instagram stories, creating a post on Facebook…or maybe even doing an Instagram live! But, the thing about most platforms (and specifically the ones I've listed above), is your post loses traction within 24 HOURS unless you run paid ads to it! 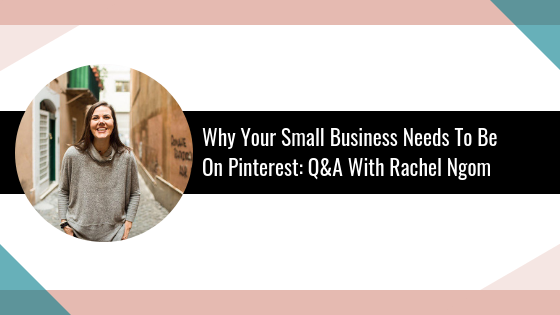 What if I told you that my guest on today's episode is still driving traffic to a pin and blog she wrote 4 years ago with zero ad spend!!! Yep, meet Rachel Ngom. Ready to increase your organic reach and get more leads and sales for free? Let's dive in! 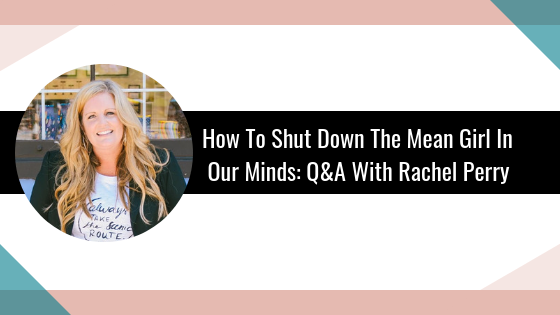 I recently interviewed my good friend, Rachel Perry, on the podcast and she had so many big takeaways I had to share them with you here! I don't care how confident or how “positive” you are, we all fall guilty to negative self talk at one point or another. As my good friend Rachel Perry calls it, “the mean girl” somehow makes her way inside our mind. And yes…she is a sneaky one! What are characteristics of this “mean girl” you may ask? She never wants you to succeed. She keeps telling you’re not good enough. She always makes you second-guess yourself. Do you ever feel hesitant to go for the sale? I'm talking, your voice starts shaking, hands start sweating…I get it! Sales has never been “my thing,” but it is not only necessary for a business to survive, it is necessary to impact others. Thanks to the help of my good friend Colin Boyd, I think I have finally been able to grasp the concept that others are depending on me to sell to them! We are always on “stage” if you think about it! Whether it be a Facebook live, a local networking event or just chatting with someone you just met in a grocery store. Speaking is something we all do! 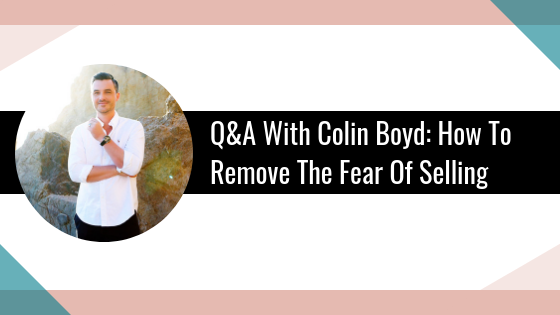 And as Colin says, “speaking is selling!” And that's exactly why I am so excited to introduce you to Colin today! I'm so excited for this because we're going to talk all things content. 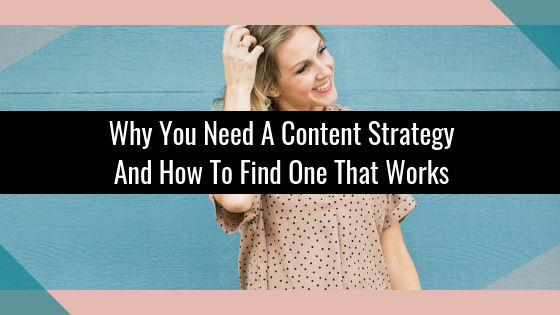 Honestly content can be blogs, live streaming or social media posts. What types of business should be creating content? Every type of business!! 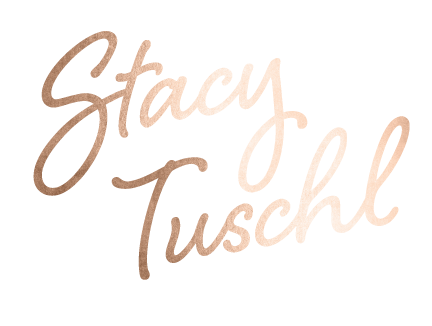 As I'm venturing out and doing some other things and looking around to see what I currently have, I realized I'm not treating my rental properties like a true business and having social media platforms, having blog posts you'll see that coming from me very soon! The reason I'm bringing this up is because you might be thinking, well I don't know that I really have a real business or it's just a hobby.